LIMITATIONS OF LIABILITY. AndersonFireProtection.ca (this "Web Site") is not responsible, and will not be liable to you or anyone else, for any damages whatsoever and howsoever caused (including direct, indirect, incidental, special, consequential, exemplary or punitive damages) arising out of or in connection with this Website or the Information, or your ability on inability to access or use this Website or the Information, or any action or decision made by you in reliance on this Websites or the Information, or any errors in or omissions from this Website or the Information, or any unauthorized use or reproduction of this Website or the Information, even if AndersonFireProtection.ca has been advised of the possibility of these damages. In no event will AndersonFireProtection.ca, or any of their respective officers, directors, employees, shareholders, affiliates, agents, successors or assigns, nor any party involved in the creation, production or transmission of this web site, be liable to you or anyone else for any indirect, special, punitive, incidental or consequential damages (including, without limitation, those resulting from lost profits, lost data or business interruption) arising out of the use, inability to use, or the results of using this web site, any web sites linked to this web site, or the materials, information or services contained on any or all such web sites, whether based on warranty, contract, tort or any other legal theory and whether or not advised of the possibility of such damages. The foregoing limitations of liability do not apply to the extent prohibited by law. Please refer to your local laws for any such prohibitions. CONTENT AND SPECIFICATIONS. 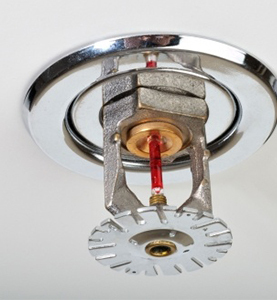 All features, content, specifications, and services described or depicted on www.AndersonFireProtection.ca, are subject to change at any time without notice. 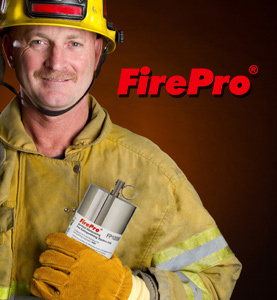 AndersonFireProtection.ca, operates this website, and make all reasonable efforts to accurately display the attributes of services. The inclusion of any products or services on this Web Site at a particular time does not imply or warrant that these products or services will be available at any time. It is your responsibility to ascertain and obey all applicable local, state, federal and international laws (including minimum age requirements) in regard to products or services purchased from this Web Site. TRADEMARKS. Certain trademarks, trade names, service marks and logos used or displayed on this Web Site are registered and unregistered trademarks, trade names and service marks of AndersonFireProtection.ca or its affiliates. Other trademarks, trade names and service marks used or displayed on this Web Site are the registered and unregistered trademarks, trade names and service marks of their respective owners. Nothing contained on this Web Site grants or should be construed as granting, by implication, or otherwise, any license or right to use any trademarks, trade names, service marks or logos displayed on this Web Site without the written permission of AndersonFireProtection.ca, or such other owner. THIRD PARTY LINKS. From time to time, this Web Site may contain links to Web sites that are not owned, operated or controlled by AndersonFireProtection.ca or their respective affiliates. All such links are provided solely as a convenience to you. If you use these links, you will leave this Web Site. Neither we nor any of our respective affiliates are responsible for any content, materials or other information located on or accessible from any other Web site. Neither we nor any of our respective affiliates endorse, guarantee, or make any representations or warranties regarding any other Web sites, or any content, materials or other information located or accessible from any other Web sites, or the results that you may obtain from using any other Web sites. If you decide to access any other Web sites linked to or from this Web Site, you do so entirely at your own risk.